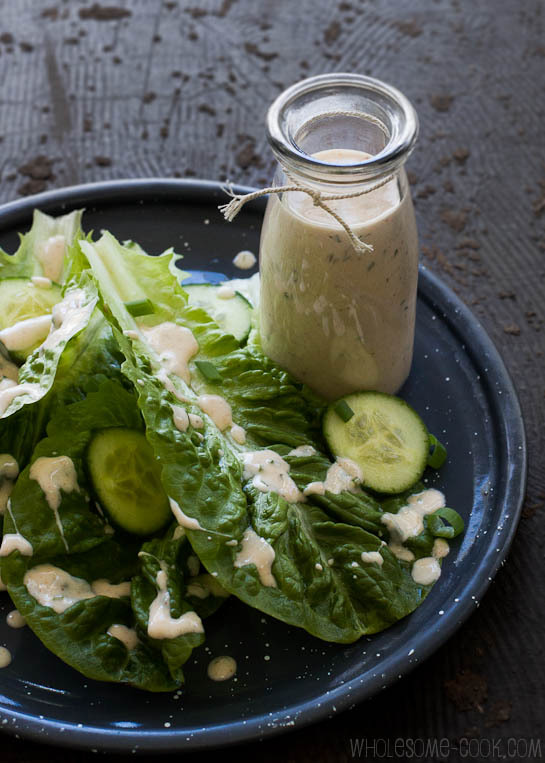 This simple Homemade Ranch Dressing is light and tangy, and a perfect topping for salads or dipping your favourite vegetable sticks into. Made with a handful of ingredients you probably already have at home. Our stay in Paris has reminded me just how much better food tends to be when made from scratch, the old-fashioned way as it tends to be in continental Europe more so than in other Western countries. Case in point: in an attempt to stay away from junk on a recent trip to the US I chose to snack on some raw veggies, but finding an additive-free dip proved to be harder than I thought. Dips and dressings are some of the worst because they are propped up by additives and processed ingredients to extend their shelf life. Feel free to check out the ingredient list of your favourite dressing or dip for yourself next time you’re in the supermarket… If you are already buying a wholesome version, then please share the brand name in the comments. To be honest I’m beginning to be a little fed up with the marketing garbage that appears on so many chock-full-of-additives products available back home claiming this or that while at the same time containing inferior ingredients. 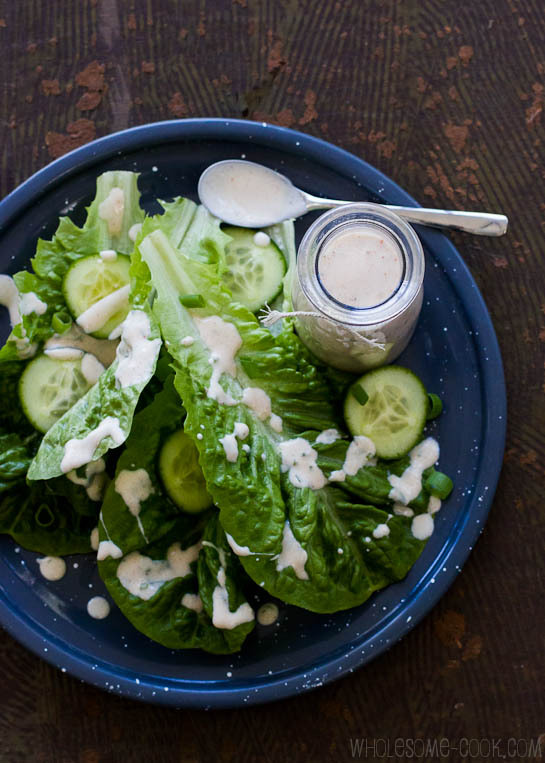 So, if your ranch dressing’s ingredient list reads more like a periodic table, then here is a simple and tasty recipe for one that doesn’t contain all the nasty stuff. Because it’s made with natural yoghurt it contains gut-friendly probiotics which tend to be absent from store-bought bottled dressings. It will keep in the fridge for about a week, probably even longer, and is great to drizzle over salads or use as a dip for raw veggies, especially broccoli which seem to soak up the dressing real well. This recipe asks for dill which is sold in big bunches. Simply chop all of the dill and place in a zip lock bag in the freezer. It will keep that way for months and you will be able to use it the same way you'd use fresh dill. Makes about 1 1/4 cups. Place all ingredients in a jug or jar and mix or shake. Serve with a favourite salad or veggie sticks. Store in the fridge for upto 1 week. The American part of me loves ranch dressing! 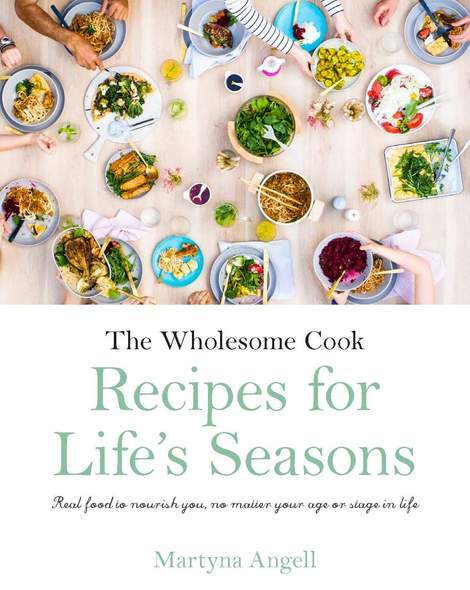 I’m eager to try your recipe! My husband loves ranch dressing, so it’s nice to have a recipe for it that I would be confident in serving. Thank you for posting it. Happy honeymoon!! 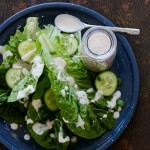 What a lovely and healthy ranch dressing recipe! Thanks for the tip on freezing dill! You are most welcome Tessa! Parsley freezes well to – chop, bag and freeze. Hard to believe it’s a ranch dressing and healthy! Hope you’re having a wonderful honeymoon!